We've all been sick in our house for several weeks now with terrible coughs etc. Today I feel less than energetic and decided that we wouldn't go to playcentre. Annie and I are blobbing by the fire and I thought I'd tidy up my neglected Pinterest boards. 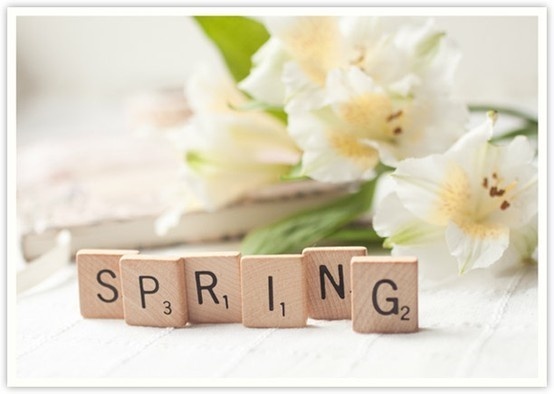 It's raining and cold outside but hopefully spring is just around the corner. I hate it when that happens. 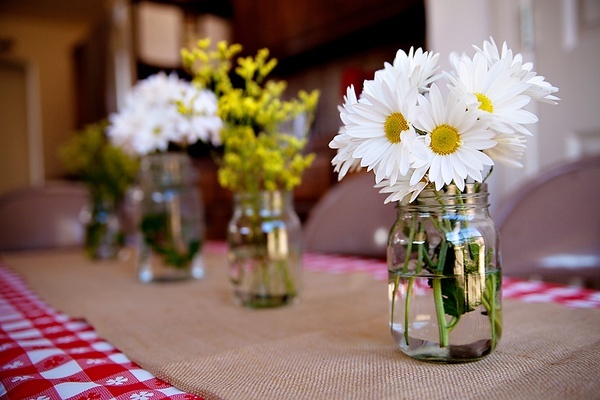 I think a row of these would look cute on the dining table. 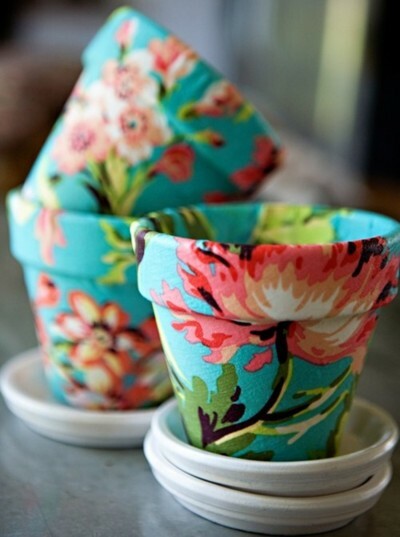 I imagine some mod-podge and some fabric and these would be easy peasy. I made some scrabble letters into fridge magnets the other day. I can't remember where I saw the idea, but it was easy to do. I brought micro-magnets and glued them into the back of the letters (I have plastic ones which a hollow). I think we should make some spring ones!! 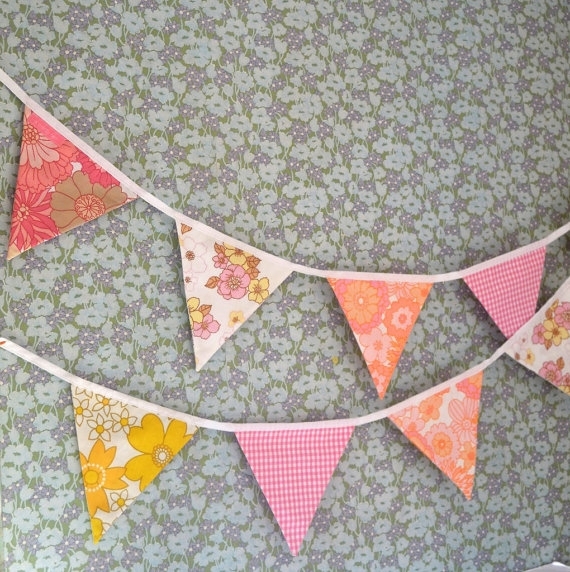 This bunting is sold, but I'm pretty sure I know where to find some vintage sheets, definitely need to make some of this for my new living areas. I'm definitely making a nice new one of these for the table. Now I feel all inspired, perhaps I should get off the sofa and get dressed. Spring sounds so good on a day like today- wet and cold. I also find pintrest a great source of inspiration! 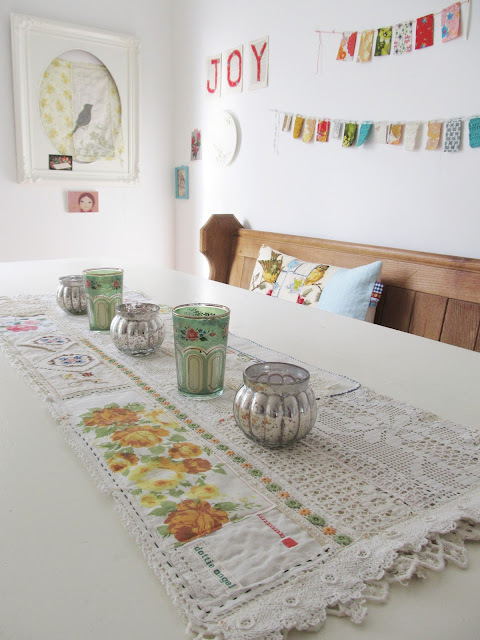 You should sew some bunting up, it's pretty addictive once you start. i love Dottie Angel - her stuff is so amazing!! I like the idea of the Scrabble magnets! I would like to try that. I can send my kids messages like, clean your room.